Our wide range of Blue Mountains accommodation lets you enjoy all the area has to offer. Find a view, explore a village or get close to Mother Nature. Whether you’re into extreme sports, day spas, or a hot chocolate by an open fire, this World Heritage Area has you covered. Your family getaway can be as relaxing or as jam-packed as you like. 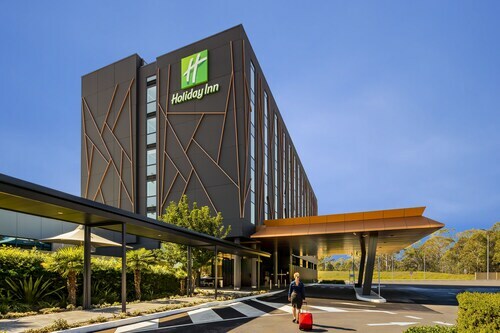 Whether taking a bushwalk or the Scenic Skyway cable car, our Blue Mountains hotels are a perfect base for exploring the natural beauty of the area, especially the Jamison Valley, which includes the Three Sisters, Katoomba Falls and Mount Solitary. The rugged pristine environment can also be appreciated by taking a paddle wheeler cruise along the scenic Nepean gorge or an abseiling or adventure tour in The Jenolan Caves. If you’re game, grab a seat on the Scenic Railway. It’s the steepest passenger railway in the world! Our accommodation in the Blue Mountains also makes a great base for appreciating the art and culture of the area: From antique centres, to arts and crafts displays; from the Norman Lindsay Gallery and Museum, to Casey's vineyard, which specialises in cool climate wine. The pioneering spirit of the area can be appreciated at the Megalong Australian Heritage Centre, which is a celebration of Australian rural life where you can learn how to crack a whip, muster, milk a cow and shear a sheep. The Zig Zag Railway is also a monument to the pioneering spirit. Built in the 1860s to enable produce to be taken to Sydney from the Blue Mountains, the railway was regarded as one of the engineering wonders of the Victorian age. Our hotels in the Blue Mountains act as a great base for exploring the area’s rich Aboriginal cultural history. The origin of the Three Sisters rock formation is explained by Aboriginal dreamtime myth of three sisters of the Katoomba tribe who fell in love with three brothers of the neighbouring Nepean tribe. The unions where not permitted under tribal law, and a when a tribal battle broke out a witchdoctor turned the three sisters to stone in an effort to protect them. The spell was unable to be reversed after the witchdoctor was killed and the rock formations stand as a reminder of the battle to future generations. Our Blue Mountains accommodation is perfect for enjoying one of the area's many festivals: From the celebration of the change of seasons in late June, the Winter Magic Festival; to celebrations of music, the Blue Mountains Music Festival featuring folk, roots and blues and the Kowmung Music festival, which features chamber music and jazz in unusual venues like limestone caves and cattle sheds. If you are travelling with the kids, try our family accommodation in the Blue Mountains. Or if you are looking to relax in beautiful surroundings try our Blue Mountains resorts. Other popular regions to stay in NSW include Sydney, Byron Bay and NSW Central Coast. Need insider tips on must-see attractions in Blue Mountains? Check out our Blue Mountains travel guide! How Much is a Hotel Room in Blue Mountains? 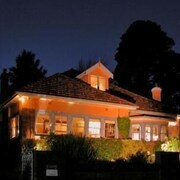 Hotels in Blue Mountains start at AU$65 per night. Prices and availability subject to change. Additional terms may apply. The staff were super friendly. The only fault I could find was that the room service meals were below par - a quiche that had burnt pastry on top and butter chicken that was rather bland and missing the promised papadum.